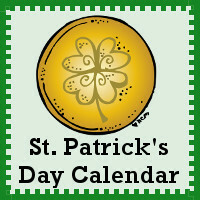 Another year and another update for the St Patricks Day calendar set! This is one that we have used just about every March for the last 3 years. It has been a fun calendar to use. It has been updated for the new pages and my girls love these new pages. I’m always looking for new ways to use the calendar pages. This calendar set matches up nicely with the St. Patrick’s Day Pack. 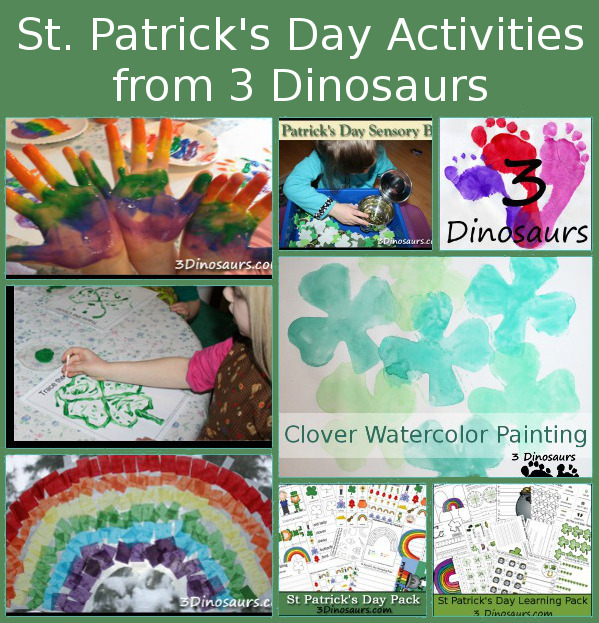 Plus all the other St. Patricks Day activities and printables on the site. 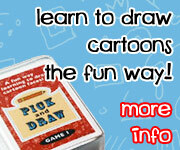 The new additions for to the calendars are fun for older kids who might need a challenge with their numbers. We have tons of fun with the pages. The first set is the 6 different calendar cards. 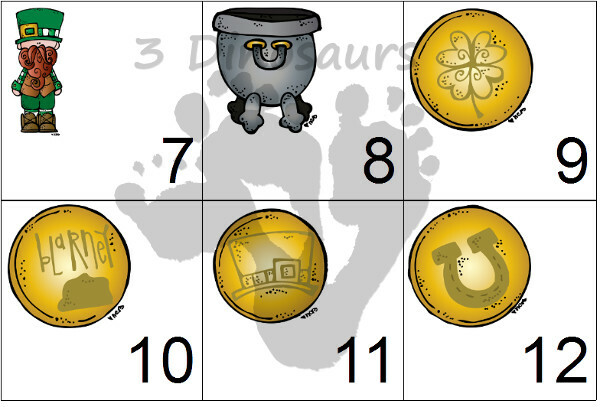 They are leprechaun, pot, and 4 different coins: clover, horse shoe, blarney stone, and hat. 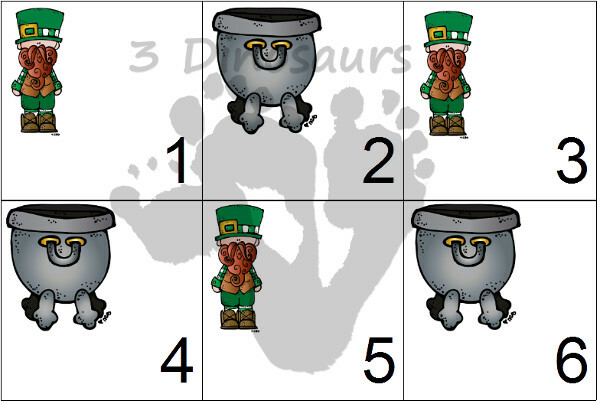 The set card set is a AB pattern card set with a leprechaun and pot. A new page this year is the trace & fill in the number! This has the calendar with space that needs to be filled in and traced. We have loved these calendars this year. The second new page has been the dot the number. 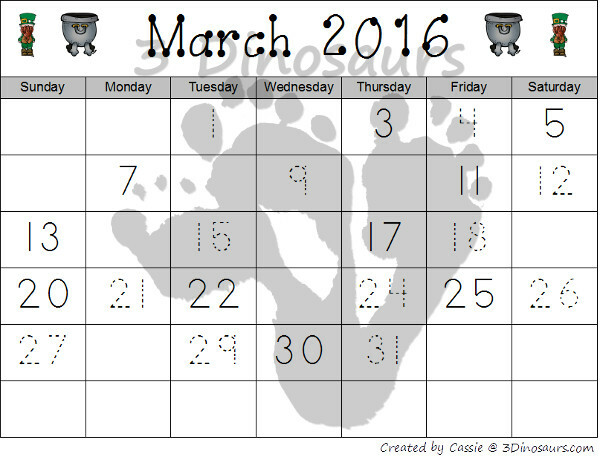 This page has numbers 1 to 31 for your child to dot as you go through the month. You can use these with or with the calendar. It is a fun way to work on counting. St. Patrick’s Day Calendar set: Days of the weeks, March 2016, 2017, and 1 to 31 numbers. 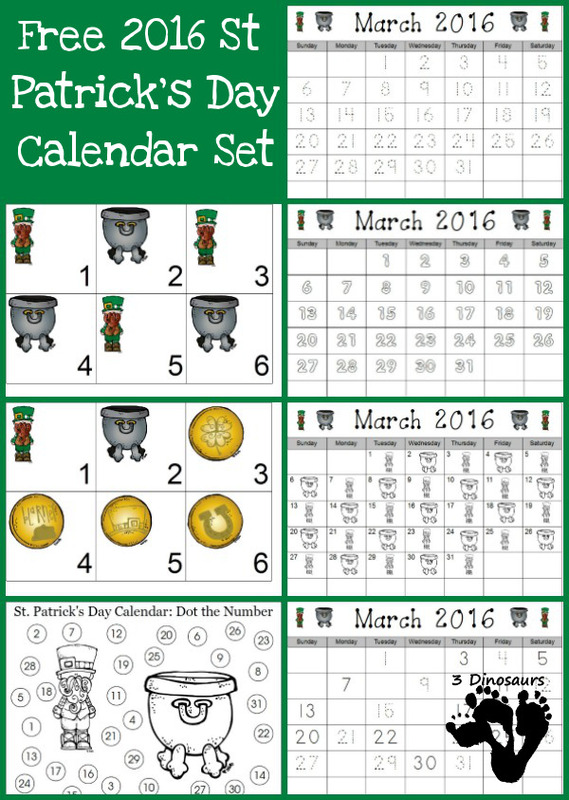 St. Patrick’s Day Pattern Calendar: Days of the weeks, March, 2016, 2017, and 1 to 31 numbers. 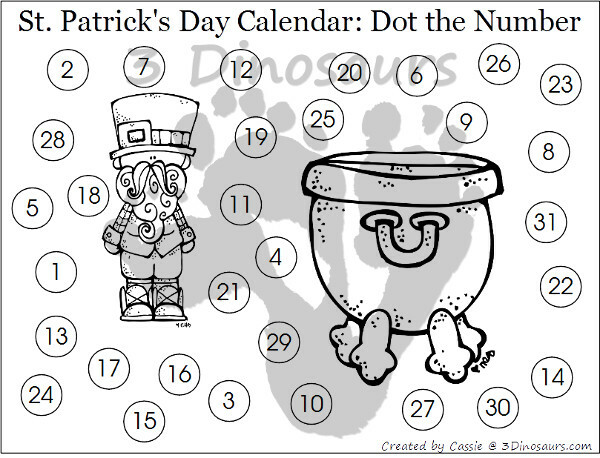 St. Patrick’s Day Single Page Calendar: 5 pages of March, 2016 ; color pattern, trace the number, color the number, trace & fill in the number, and dot the number. Click here to get your copy of the St. Patrick’s Day Calendar Printables. This entry was posted in calendar and tagged free, printable, st patricks day. Bookmark the permalink.